No matter what phone you have, we'll help you figure out the easiest way to snap the screen. Whether or not your Android phone has a home button, here’s how to take a screenshot. Update 7/2/18: Added the HTC U12+, LG G7, and OnePlus 6. To back up your screenshots, you'll need to head over to Google Photos. Once you've snapped your screenshot you can create a shortcut to it in the notification panel. Tap it and you'll be able to edit or share it. If you want to back up your screenshots to Google Photos, you might need to tell your phone to do so. Open the sidebar in Google Photos, then Device Folder. Tap Screenshots, and flip the Back up & sync toggle. 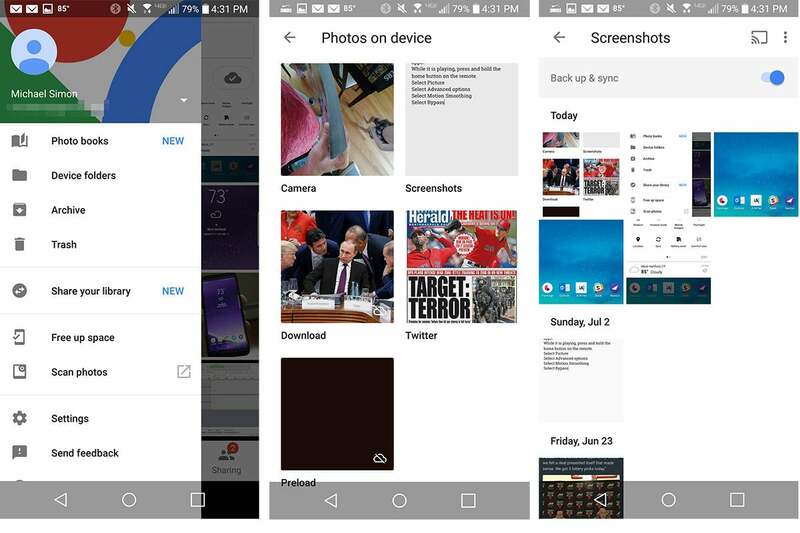 From there on out, all of your screenshots will be backed up to your camera roll in Google Photos. If you happen to have a pre-Gingerbread Android 2.3 phone lying around, taking a screenshot is quite an arduous task. Froyo users will need a PC, a USB cable, some Android knowhow and third-party software. Ignore the Log, Info, and other developer-centric details. The screenshot option is in the Device menu. In most cases, you'll pick USB Mass Storage, but the other options might solve problems if your Android device doesn't show up. Back in those days, Google thought only developers would be interested in capturing Android screenshots, so you'll have to act like one. Download and install the free Android SDK (software development kit). Visit the site, and be sure to get the correct version for your OS. The software also requires Java. Mac OS X has the right tools already built in. Windows users should download the Java Development Kit. Install the Android SDK and Java downloads. Visit the Device Manager to fix any USB driver issues preventing your PC from recognizing your Android. Launch the SDK Manager from the Android SDK download. (In Windows, if prompted, choose Extract All.) Accept the terms, and click Install. The SDK will download more packages and then update itself with the latest files. This process can take about 30 minutes. Launch DDMS (Dalvik Debug Monitor) within the Android SDK Tools folder. The software will open a console for a moment and then launch a graphical interface in another window. Give it a moment, but if it quits and there seems to be an error initially--as happened to me on my test systems--try running DDMS again. On the Android device, open Setting, Application settings, Development, and select USB debugging. Connect the Android device to your computer. In Windows, if the Android doesn't appear as a listing in the Dalvik Debug Monitor application, go to the Device Manager. Right-click the Android device, and select Update Driver Software. Choose Browse my computer for driver software, click Browse, and navigate to the USB driver folder within the Android SDK folder. Click Next. Approve the following prompt to install the driver. Return to the Dalvik Debug Monitor; your Droid should now be listed. With either OS, if your Android device still failed to show up in the Dalvik Debug Monitor, verify that you set it for USB debugging mode. In addition, drag the menu down from the top of the Android screen, and pick USB connection. 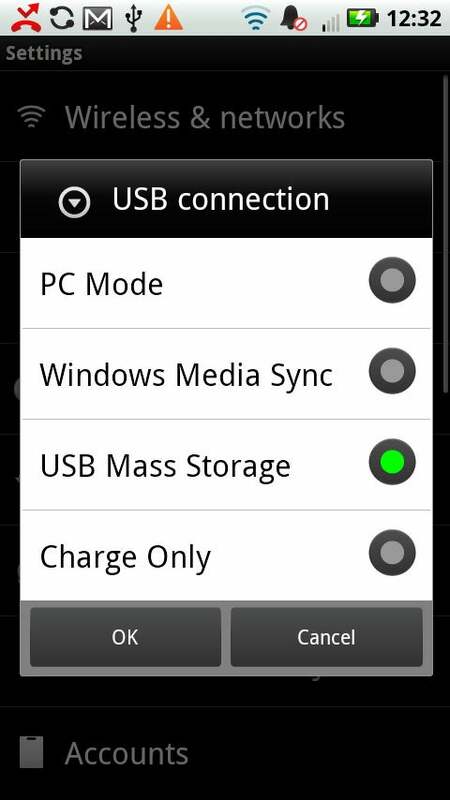 In most instances, you'll want USB Mass Storage to be selected. (I had to perform this step on a Droid X because it set itself up in PC Mode first.) But try PC Mode if the software isn't finding your Android; that might solve the problem. On your computer, click the phone icon in the upper-left section to select your Android. On the Android, prepare the moment you want to capture. On the computer, choose Device, Screen capture. Click Save. Repeat the process for additional screenshots as needed. If you're a savvy Android enthusiast, you can shoot screenshots without hooking up to a computer at all. First, however, you'll have to root your phone. Screenshot simply captures your Android device's screen. Just be sure it's rooted first, as the warning notes. Normally, the Android OS prevents screenshot apps from working, because they muck around with deeper permissions. The rooting process confers superuser abilities, however, granting you permission to do anything you want. After rooting, search the Android Marketplace for screenshot to find various apps such as Screenshot, and Screenshot It. You'll activate screenshots with a timer, by shaking the phone, or via another command, and the app will then capture your device. 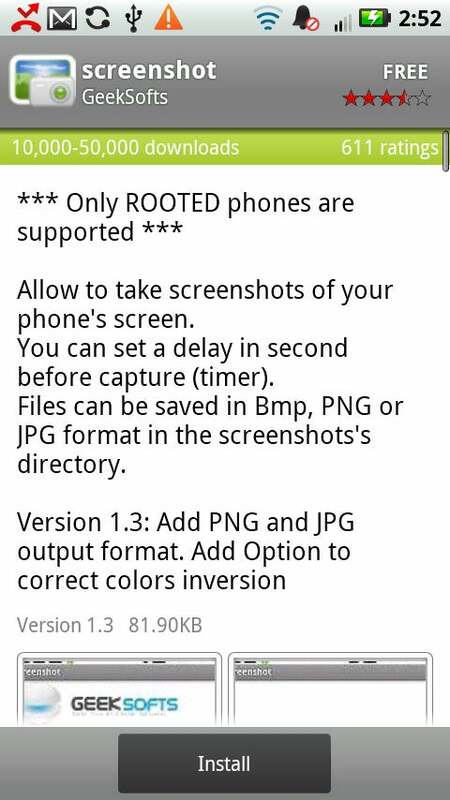 This story, "How to take a screenshot on any Android phone" was originally published by Greenbot.